Jimmy Carter — the 39th president of the United States — has recently celebrated multiple record-breaking milestones: The 40th anniversary of his inauguration was in 2017, and he joined George H.W. Bush as the only other president to reach 94 in October. 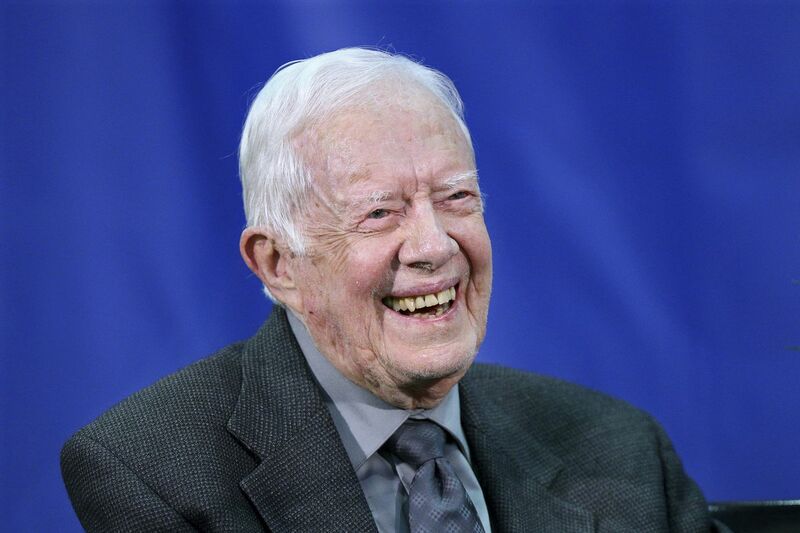 On Friday, at the age of 94 years and 172 days, Carter will also become the longest-living president in U.S. history. His presidency — remembered for the Camp David accords, the Iran hostage crisis, and creation of the Departments of Energy and Education — flamed out during the election of 1980, when Ronald Reagan defeated him. Carter remains engaged in the causes and activities that matter most, according to the Carter Center's director of communications, Deanna Congileo: He participates in the Carter Center programs in global peace and health and annual Habitat for Humanity builds, and he received the Nobel Peace Prize in 2002, for work during and after his time in office. Carter also continues to teach Sunday school lessons and courses at Emory University. “Both President and Mrs. Carter are determined to use their influence for as long as they can to make the world a better place. Their tireless resolve and heart have helped to improve life for millions of the world’s poorest people,” Congileo wrote in an email to the Washington Post. "I just thought I had a few weeks left, but I was surprisingly at ease," Carter said at a news conference that August. "I've had an exciting and adventurous and gratifying existence."